When it comes to building a new home, there are many moving parts to consider. That’s why many budding homeowners hire a general contractor to look after all of the responsibilities associated with building a new home. However, some people want to have more control over their home building process and decide to act as the general contractor for their own build. If you choose to go it alone in the home building process, you’ll need to find yourself a concrete contractor to pour the foundation for your home. 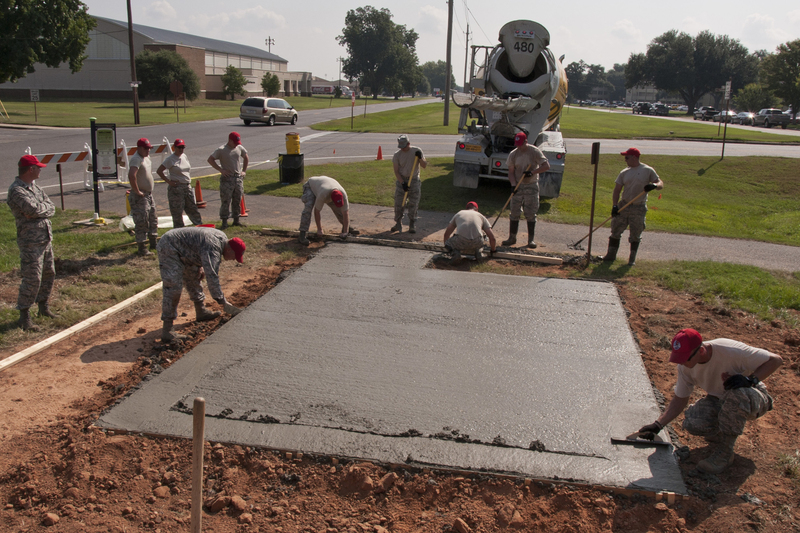 Here’s how to find the concrete contractor that is right for you. If you have taken on the task of being your own general contractor, you’ll probably already have a set of plans for your new home. You’ll want to take these plans to concrete contractors and have them review the plans to determine if they can take on the job or not. Dealing with a concrete contractor is one of the first steps in developing your home, but the relationship doesn’t last as long as the relationship you would have with the contractors putting up walls, flooring or other parts of your home build. Still, though, you want to make sure you are working with a reputable company that shows up when they say they’ll show up and can deliver on time. Based on your plans, the concrete contractor Killeen TX may want to visit your building site to get a feel for the land and how the house will grade into the land. Once measurements are taken, they can draft up a quote for you and tell you how much the concrete job will cost. You’ll want to get this quote in writing if you plan to shop around for other concrete contractors in your area, but generally, concrete jobs cost the same across the board. What will be important is how well you get along with the contractor you choose and how they deliver on their work. When it comes time to choose your concrete contractor, you’ll want to do some research online about the companies you have spoken to. Ask around your area if people have used the companies before, check for reviews online, ask the company for any examples of their previous work. The foundation for your home is an essential part of the home building process, so you want to make sure you have the right concrete contractor for the job. Don’t hesitate to ask questions and clarify deadlines and deliverables before signing any contracts. Getting all of the information up front can save you a world of hurt in the long run. Be sure to ask about maintenance, issues with the foundation down the road, and any warranty that may be included in the price of the concrete pouring job. When you find a concrete contractor that is right for your home build, keep their card in a safe place. You’ll have other times in your life when you’ll need a reliable concrete contractor, such as if you decide to build a garage, shed, put in a pool or other backyard and property enhancements.